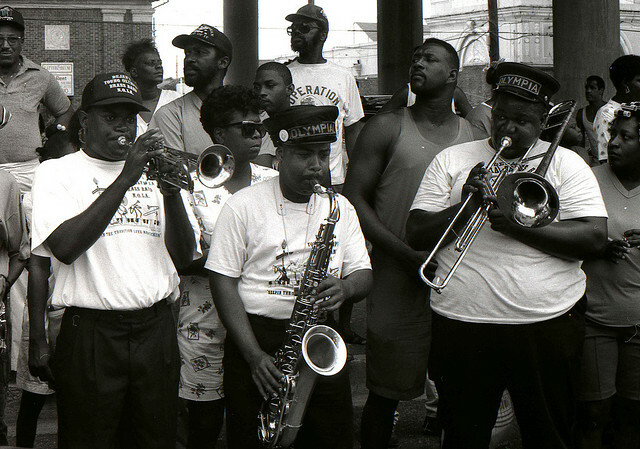 This week is a big one for New Orleans and the authentic American art form it spawned: jazz. As we all know, next Tuesday is Fat Tuesday and the streets of the Crescent City are currently loaded with brass bands filling the air with the sweet music that only a city with such a diverse and turbulent history could create. But Mardi Gras isn’t the only reason this is a notable week in New Orleans music. On this day, in 1917, the first jazz record was recorded for the Victor Talking Machine Company in New York. The group was The Original Dixieland Jass Band and the song was “Livery Stable Blues” with the B-side of the 78 rpm record being “Dixie Jass Band One Step.” The record is steeped in controversy as it was recorded by a group of white musicians who billed themselves as “The Creators of Jazz” and claimed authorship over jazz standards that had been played by African-American musicians for some time prior to the first recordings. In fact, musicians like Jelly Roll Morton, Buddy Bolden, King Oliver, Sidney Bechet and Kid Ory had already popularized jazz as a musical form in New Orleans long before The Original Dixieland Jass Band took their versions up north. Most of America, however, was unaware of the musical developments happening in New Orleans and for many, “Livery Stable Blues” was their first exposure to this wild new sound. The record was a surprise hit and its release ushered in what would become known as “The Jazz Age.” So, while the record is indicative of the racism of the times, it did bring the wild and wondrous sounds of New Orleans into the homes of more Americans than ever before and, in its way, helped white audiences to appreciate this African-American music as the sophisticated art form that it was. Without the success of this record we never would have heard the wonderful strains of Louis Armstrong’s cornet in King Oliver’s first recordings for Okeh and Gennett just a few years later, when the jazz boom was in full swing. So, this week, in honor of New Orleans, Mardi Gras and the birth of recorded jazz music, we’re going to feature some upcoming jazz concerts that pay tribute to the Crescent City and the early years of jazz. Many of the events that we ticket are, often, supportive of a controversial cause. These are events that aim at providing more than just a good night out and a perfect example is the 10th Anniversary Gala for the Innocence Project New Orleans happening on Thursday, May 19. Every day, people are unjustly convicted of crimes through attorney’s errors, incorrect witness identification, false testimony and a host of other problems. Some of these cases end up making headlines. Others, like the infamous West Memphis Three case, end up becoming full-fledged documentaries. But for the most part, we don’t hear much about the hundreds of people who are put in prison for life who don’t belong there. Some estimates put the error rate as high as 14% of convictions. Tags: Innocence Project New Orleans, New Orleans, non-profit organization, West Memphis Three.